It’s just about time for BBQ season regardless of where you happen to be in North America, which means grilling time, too. The Z Grills Elite 900 is a new smoker/BBQ/general purpose cooker option that combines a lot of versatility into a relatively compact package, without requiring the kind of special attention and handholding that you often get with real wood smoker options. Z Grills is a U.S. company based out of Burlingame, California, headed by founder Jasper Yu. The young company has a team of engineers working on its design, which incorporates the easy, single dial cooking style of most gas and propane BBQs with real wood smoke and flavor from a pellet feeder and electric heating element design. 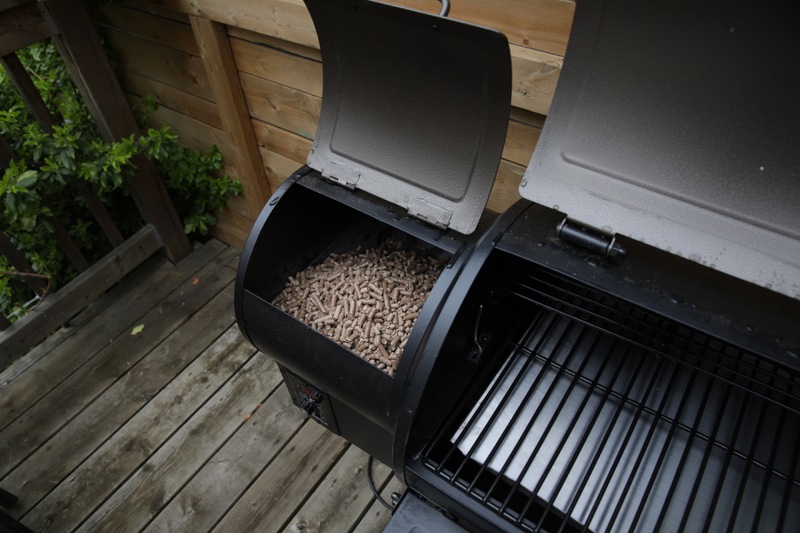 This lets it achieve both consistent and reliable convection-based heat, as well as generate smoke from a range of different wood pellet types of fuel, which means you can get a lot of different flavors depending on what you’re cooking. These come out relatively subtle, in my testing, which is great, because often what happens with other styles of cookers like this is that the smoke flavor becomes overwhelming, no matter how easy you try to go. Z Grill is also surprisingly easy to set up and get started with, another failing of some competing devices. I actually assembled my test unit without even looking at any instructions for how to put it together (partly because I wanted to see how easy it was to do this, and partly just because that’s often how I roll, even with advanced IKEA stuff), and it took less than an hour and very few tools. After that, getting started actually cooking stuff was as easy as putting pellets in the hopper, plugging it in and setting the dial. Once you’re ready to go, it’s no more difficult than using a propane or natural gas grill, which is to say, it’s dead simple. A temperature range of 180 to 450 degrees means you can go low and slow or high and quick, depending on your goals, and there’s a top rack for more grill real estate within. The cooking space isn’t huge, by large BBQ standards, but what’s impressive is how much surface area for actually grilling you get without a gargantuan machine on the outside; this ended up being perfectly sized for my city row house back deck, which doesn’t have a tremendous amount of space. Not only does the design maximize utility and minimize footprint, but it also comes with very durable and weather-resistant metal construction. The look is somewhat retro, with a stack-style chimney on the side. My one caveat when using the grill is that it does put out a fair amount of smoke, especially at startup, so make sure your neighbors are cool with it — mine ended up complimenting the smell. The Z Grills Elite 900 already ran a successful Indiegogo campaign, raising nearly $400,000 during its campaign, but it’s still available for pre-order via the crowdfunding site. A $399 USD pledge will get you one of the units, with shipping included to U.S. customers, and that’s roughly 40 percent off what it’ll cost at retail. Shipments of the Z Grill start in July, but ship times may vary depending on where you end up in the queue.